The financial sector hoarded with numerous services and the operation under financial service head is one of the most valuable services in the market. The success of financial service firms is directly influenced by its customer relationship. It is very important to streamline complex financial operations to addresses unique market needs. 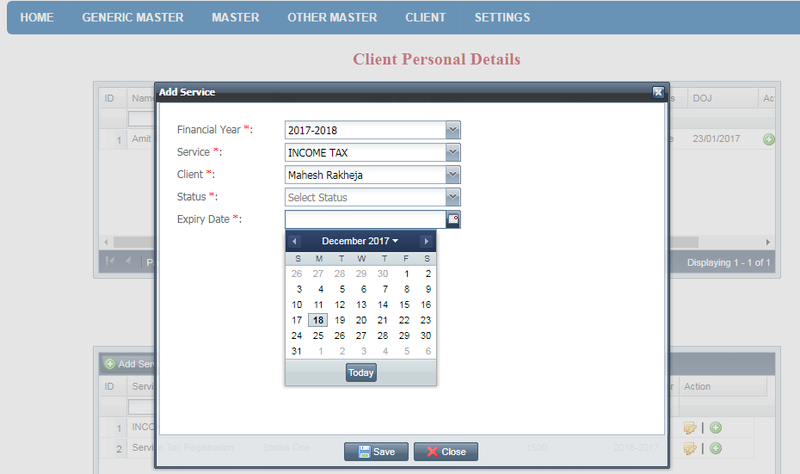 Consider an owner of financial firm manages financial services such as ISO Certification, Company Services, NGO/ Loan Consultancy, Business registration, Income Tax Services, Partnership Firm & LLP, Accounting, TDS, Professional Tax, VAT/CST, Service Tax, IPR Services, ADDON Services and Auditing Services for your customer. The firm needs to manage seamless interaction with innumerable customers through multiple channels over the time. Mostly reputed financial channels avail their services at multiple locations. Managing such huge database flawlessly with manual operations is practically impossible. Another trouble faced by the financial firms is data integration and synchronization of multiple services by acquired multiple users through multiplication. Without adaptive technologies, the operations become cumbersome and time-consuming. Cityweb designed CRM software to address these financial sectors challenges smartly to grow your business quickly. Our Customer relationship management (CRM) software is Fast, Intuitive, Secure; developed with an approach to unifying all business operations and manages a company's interaction with current and potential customers. The CRM software automates all the complex business procedures operated at the multilevel structure at multiple locations. Maintain all the records and stores all clients documents in a handy way. The software covers information from all the boards if the firm has multi-location branches and allows the admin to access it anytime from anywhere. Connect with your customers more swiftly and efficiently with CRM system. The automated system already feeds with the necessary document list required for the services. So it will generate a list of an essential document for the service undertaken by the customer automatically. The software is backed up by an unlimited amount of customer services with its prerequisites and notifies customers with SMS or Mail alert time to time if any process is pending from their end. 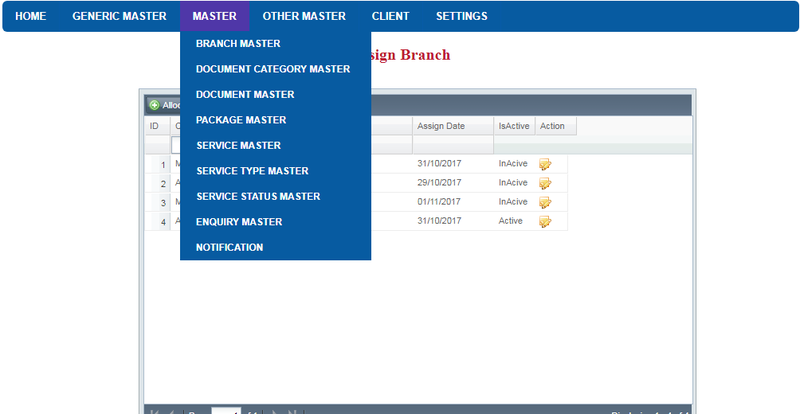 The software maintained all the information of customer service wise and branch wise so employee and, branch officer and admin can access it at their fingertips no matter where they are. Maximizing revenue through track records over the given time period. 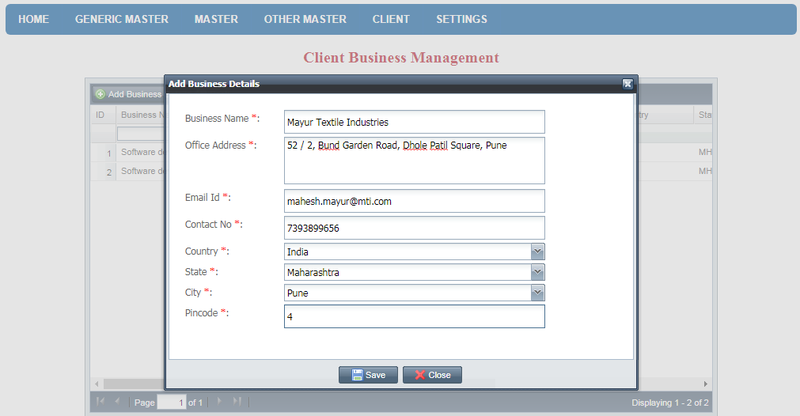 With CRM system client can easily transfer their branches, assigned employee or contract type. If the transfer request generated by them the all assigned data and documents get automatically shifted or assigned to designated location. It gives absolute flexibility in all the critical business operations. Admin can analyse all the business operation undertaken by all employees at different business tires and optimise role engagement. Also, he is able to manage all the services offered by the business firm. Bungalow No 37 B, Lane C, Ragvilas Society, Koregaon Park, Pune - 411001. Maharashtra. Ground floor, Plot No. 14/1 & 14/2 (Sutra-tritech), I.T. Park, Gayatrinagar Road ,Nagpur - 440022. Maharashtra. © 2019 Cityweb and/or Inbase Technologies.